Five of us from Christ Church attended the 2016 Annual Convention of the Episcopal Church in Connecticut (ECCT), held on Saturday, November 19, and Sunday, November 20, at the Connecticut Convention Center in Hartford: Rector Harrison West, delegates Caroline Herrick and George Kral, alternate Kay Claiborn, and observer Jean Valentine. Following the opening hymn and prayer, Bishop Ian Douglas called the convention to order. After the Secretary of Convention determined there was a quorum, the Rules of Order were adopted. This year, for the first time, election of those nominated to various committees was done electronically instead of by paper ballot. A table was set up at the back of the room where those who did not have their own electronic devices, or whose devices were not functioning properly, could vote. Next was the recognition of those in the ordination process, new priests, and transitional deacons, followed by recognition of clergy new to ECCT since the last convention. Bible study was on Leviticus 25:1-7, on God’s call to Sabbath. It was led by Bishop Laura Ahrens, who used the poem “Slow Me Down, Lord” by Wilferd A. Peterson, and Jean-François Millet’s painting “The Angelus” to speak of the need to pause, think, reflect, and pray. After Bishop Douglas’s address, we went into Region Breakout Sessions. The session for the South Central Region, to which we belong, was led by Rev. Maureen Peitler-Lederman, vicar of St. John’s, North Guilford. The ECCT is now organized into six regions, each of which is to recruit a region missionary to coordinate communication and facilitate projects across the region. We discussed when and where we would hold regional convocations. It was decided that instead of two regional convocations, one in the spring and one in the fall, there should be four shorter, half-day sessions at alternating locations. The meetings might focus on a particular ministry of the host church. It was suggested that there be a regional Facebook page. Our region does have an e-mail address: southcentralECCT@gmail.com. A region missionary will be recruited in the first quarter and should be in place by March. The region missionary will be a ¾ time position. There was discussion of a group that meets in Meriden to promote interest in the Holy Lands, of gun-free zones, of the need for sabbatical leave, and various other issues. The meeting ended with a closing prayer. We then broke for lunch. Since Presiding Bishop Michael Curry was preaching at the Convention on Sunday, both of the legislative sessions took place on Saturday, making for a full day. The afternoon session of the Annual Convention took up the financial and governmental business of the Convention. The budget was approved and eight resolutions were considered. Treasurer’s Report -- The report highlighted that in 2015 total parish expenses for all parishes was $70 million. Fifty percent of Connecticut parishes had operating losses for the year. The Treasurer’s conclusion was that, on the parish level, we are struggling to sustain ourselves financially. Twenty parishes have closed since 2000. A 0.7% minimum increase in clergy compensation was approved. A technical amendment to the Church constitution was approved. A study to discern the resources needed to further God’s Mission in Connecticut was approved; study to be reported to the next convention. A resolution to support Christians in the Holy Land, encourage pilgrimages, and urge support for three ministries currently engaged in that support was approved. 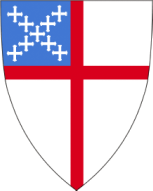 A resolution to allow parishes to declare themselves “gun free zones” was approved.Bishop Ahrens spoke in support of this resolution from the floor of convention. A resolution to prepare a plan and system to provide paid sabbatical leave for part-time and interim clergy was approved. A resolution to support the work of IRIS (Integrated Refugee & Immigrant Services) was approved with great enthusiasm. This was my first opportunity to serve as a delegate to the Diocesan Convention. It was interesting to learn about the Diocese of Connecticut from this perspective. Thank you for electing me to this role. The second day of convention was unlike most previous conventions. All business and legislative matters had been on concluded on Saturday, November 19. On Sunday, approximately 2,000 participants were welcomed to the Hartford Convention Center to “Celebrate the Spirit,” to share Eucharist, and to hear Presiding Bishop Michael Curry. All participants who had a ticket were scanned as they entered. Dissimilar from most of our Sunday worship, this was a loud and joyful service, with a steel band and liturgical dance interpretations as the liturgy was read. The Eucharist was passed among all 2,000 very effectively. This was a most memorable service. There were several breakout sessions following a light refreshment. I was pleased to attend one on immigration. A brief explanation was made on the process by which immigrants are allowed to enter the USA. It is a two-plus-year wait process of checking and rechecking paperwork, background information, etc. In November, there had been an immediate need for assistance for a family that had just been resettled in the western part of Connecticut, and that was discussed by the group. On the Sunday afternoon of our diocesan convention, I attended the breakout session sponsored by “Rhythms of Grace.” This ministry was begun by Linda Snyder, familiar to Christ Church from her communion prep classes, and Bishop Audrey Scanlan, when she was serving the Church as a priest and then canon in Connecticut. The goal of the ministry is to offer worship services for children not suited for traditional worship, especially children on the autism spectrum or with other special needs. During the breakout session, participants moved about the room, participating in simple arts & crafts activities related to the Bible story of the day. Linda led us through interactive worship, using the materials we created, and talked with us about how the experience could be adapted to suit the participants. Rhythms of Grace has its own very informative website at http://www.rhythms-of-grace.org/. This was an eye-opening experience for me!